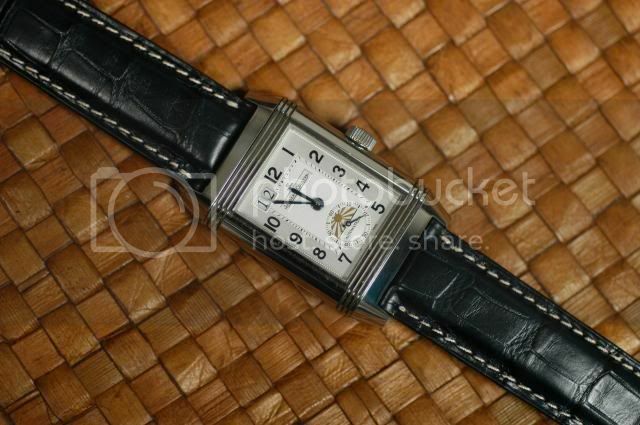 TimeZone : Jaeger-LeCoultre » Sometimes an itch has to be scratched. I needed something new. Still shortening the list for a next watch, but I'm not there yet. New straps always make me happy. I caught the strap bug with my Panerai and it has extended to my Reverso. For some reason I don't have the urge to change straps on my other watches. 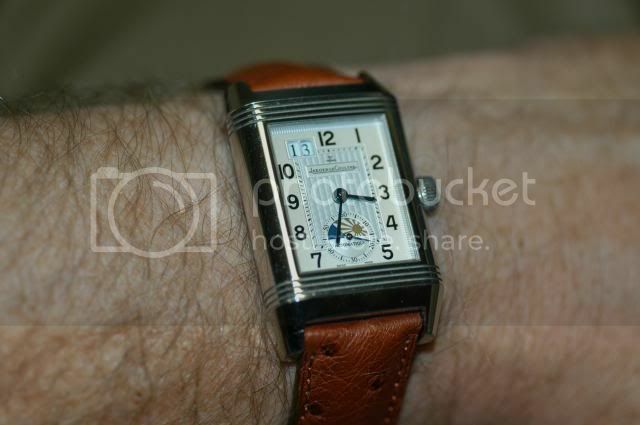 The Reverso however can easily be made very sporty or very dressy with a simple strap change. I already have dressy straps covered for this piece. 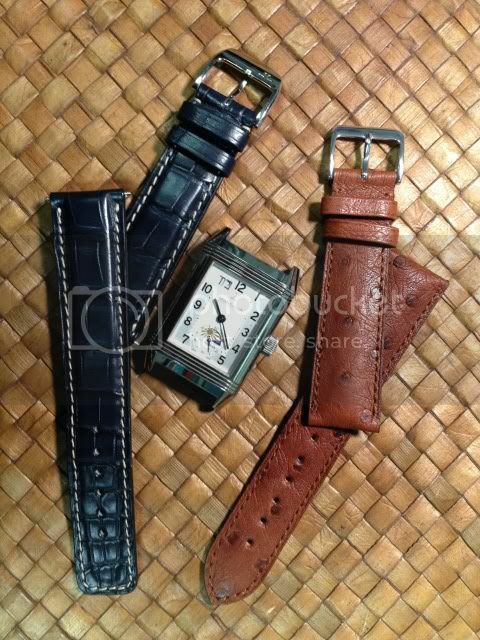 Anyway, I got a dark blue alligator strap from Camille Fournet and a brown ostrich strap from Hirsch's Artisonal Collection. Previous Topic: Early wake-up for the DSA.